With so much discussion of Traumatic Brain Injury (TBI) and concussion in the news lately, I would like you to know more about these from a personal perspective. Most might say they know what a TBI or concussion is, but until you experience one, you do not. I know this because when I tell people I have had both, their eyes glaze over and they don’t respond. In May of 2008 I apparently took a header over my bike handle bars and landed on my left cheek, ribs and thigh. This created chaos in my brain leading to internal bleeding, fractured ribs, deep thigh bruising and lung damage. I say ‘apparently’ because I remember very little about the accident. Somebody found me on the ground and called an ambulance while my mind weaved in and out of consciousness for the next six hours. Then this past September I fell backwards onto our stone floors and sustained a serious bleed and concussion in the back of my head, requiring staples. I am certain this accident occurred partially because of my previous injury, which affected my judgment and balance permanently. The combination of these two accidents have caused me serious cognitive and physical impairments not visible from the outside. So when I tell others about these problems, they have no idea what I struggle with. Every brain injury is different, but in my case, the long-term effects of my own injuries are: Memory loss, problems with balance, headaches, much confusion or feeling in a fog, amnesia surrounding the traumatic events, dizziness, ringing in my ears, great difficulties remembering words or spelling, delayed response to questions and extreme fatigue. Ruth Curran, a hero of mine, also experienced a TBI in a car accident, and spent months trying to find the kind of help she needed to get better. 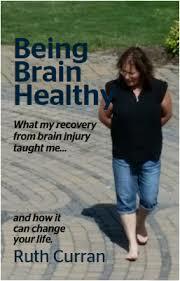 Then she wrote a book to help others understand and feel better if they have also experienced brain injuries. I just started reading Being Brain Healthy: What my recovery from brain injury taught me, and how it can change your life. I can highly recommend this book to those with brain injuries as well as those who want to maintain their present level of brain health. I tell you these things for two important reasons. Please take care of the only personal computer you will ever have, and show compassion to those who have permanently injured theirs! 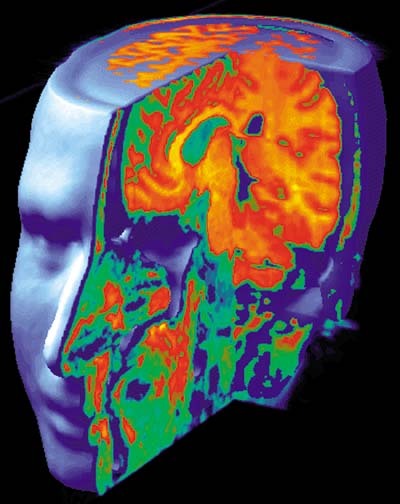 concussion effects, experience with concussion, personal experience with brain injury, TBI, traumatic brain injury defined, what does a concussion feel like? ← Blogging Boomers Winter Solstice Edition! It’s an important lesson. My father suffered a TBI in military service in 1945. It left him with seizures (never completely controlled), occasional attacks of rage (got better after a time), and, basically, impacted the rest of his life. Shared this on social media. Thanks Alana. I’m sorry to hear about your father. So many more people than football players are impacted by brain injuries. I think that’s important for others to know. In 1981 I was in a terrible car accident that required 16 stitches in my forehead – a true scarlet letter. I had a concussion and the beginnings of my MS. I am beginning to realize the devastation that accident caused to my brian. Thanks for posting this. Yes Cathy! Most don’t understand that the long-term effects of TBI are slow to emerge, which in some ways makes them even more devastating. I am still amazed that NOBODY in the hospital neuro unit talked to me about seeking future help with my brain injury, and I didn’t. Now, 8 years later, I wish I had had some guidance in follow-up treatments. Perhaps I wouldn’t have fallen again if I had…Expecting a person with a recent TBI to know what they need to do to help themselves is ridiculous! My husband suffered a double rupture brain anuerysm in February 2015, he was given a less than 2% chance of survival and we were told if he survived he would be a vegetable……fast forward 10 months, he is walking, talking, no feeding tube, has regained most long term memory he has no short term memory and still gets disoriented. He spent 6 months is various hospitals, including Craig, and is now home and doing outpatient therapies at Craig and several other facilities, but no one has given us any guidance on what we can do to help with his memory issues or how or what we can do to help heal the brain. He was deemed a stage 5 bleed and most of the damage he suffered was in the frontal lobe. I am so overwhelmed with the caregiving aspect, getting him to all his therapies and still trying to keep up running the office of our business I find little time to do research. I’m hoping your book can help with our journey. While living in the USA I’ve suffered several TBI’s now living in Jamaica which lack the expertise and experience to provide care, I’m left on my own to suffer through it.